It was our first hike up to Mt. Minsi in the Delaware Water Gap National Recreation Area since the fall of last year. 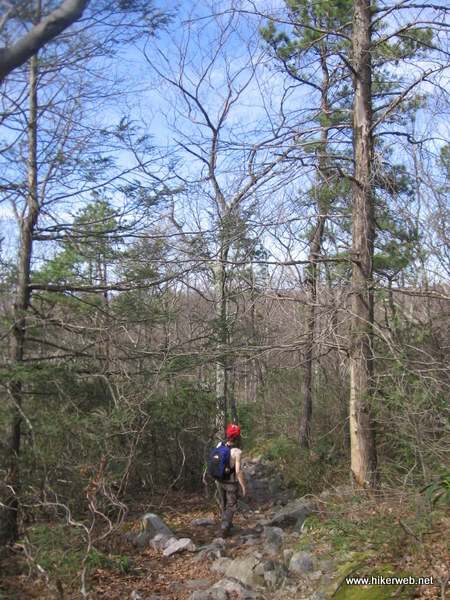 We took our usual route of climbing up to the summit on the Appalachian Trail and then hiking back down the Mt. Minsi fire road to the parking area. 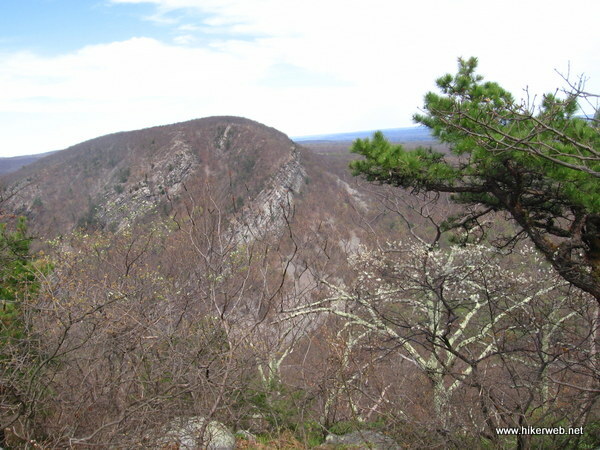 This is the best way to hike this loop, as the Appalachian Trail can be quite steep and rocky in places making it a better choice for ascending, the fire road is more evenly graded making it easier on the knees while descending. The elevation gain from the parking area to the summit is about 1,060 feet. 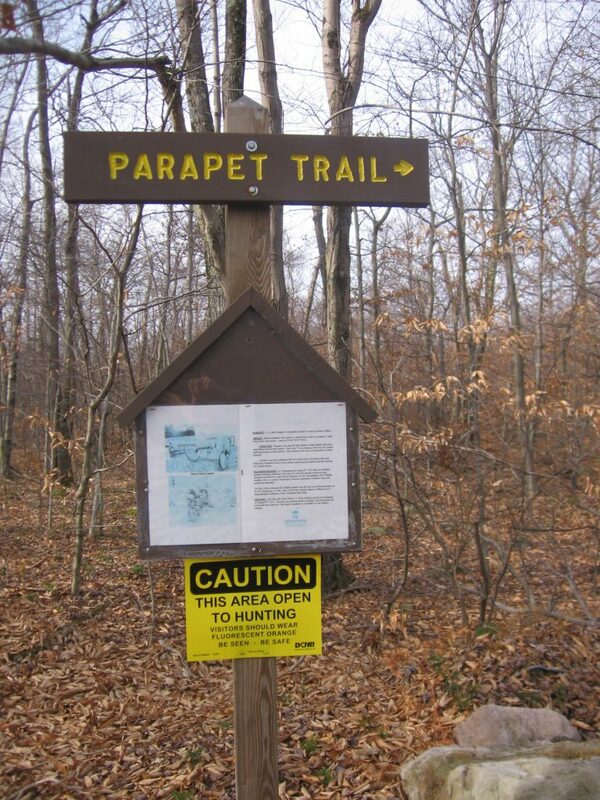 The distance from the parking lot to the summit is about 2.3 miles on the Appalachian Trail, and from the summit back to the parking area via the fire road is about 2 miles. The loop hike total is about of 4.3 miles. 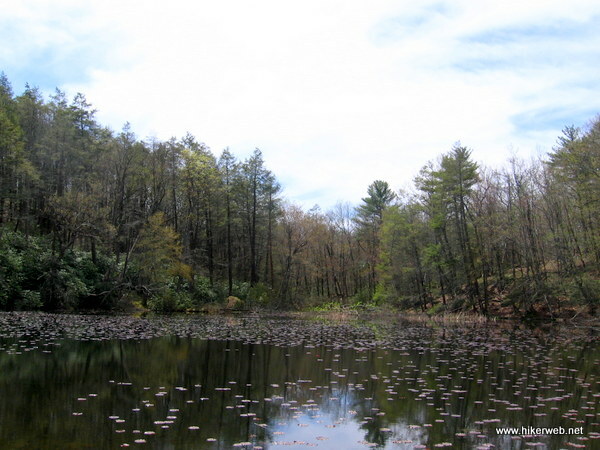 This hike was a little longer because we started with the short trail around Lake Lenape before heading toward the summit of Mt. Minsi. 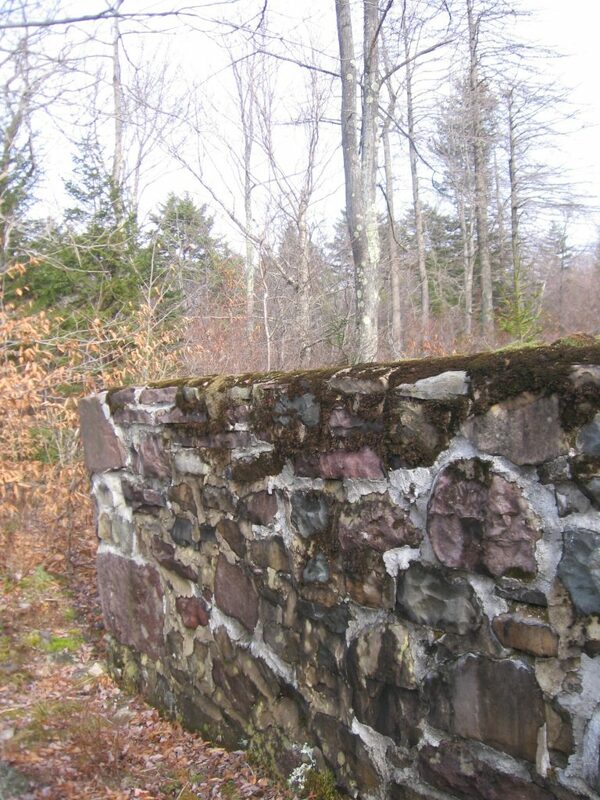 To reach the Lake Lenape parking area, Turn onto Mountain Road from Route 611 next to the Deer Head Inn. Follow Mountain road uphill for a few hundred yards and turn left onto the small and narrow Lake Road. The parking area is on the right. 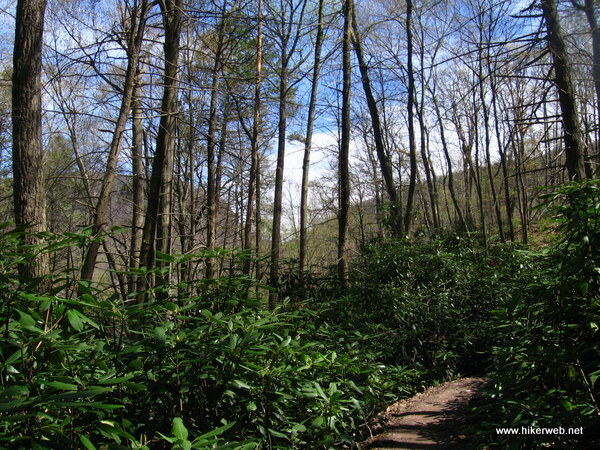 You can begin following the white blazes of the Appalachian Trail into the woods and up Mt. Minsi. Here is a map of the loop hike. The Appalachian Trail is in Red and the Mt. Minsi fire road is in blue. Lake Lenape, Just a few yards from the parking area. 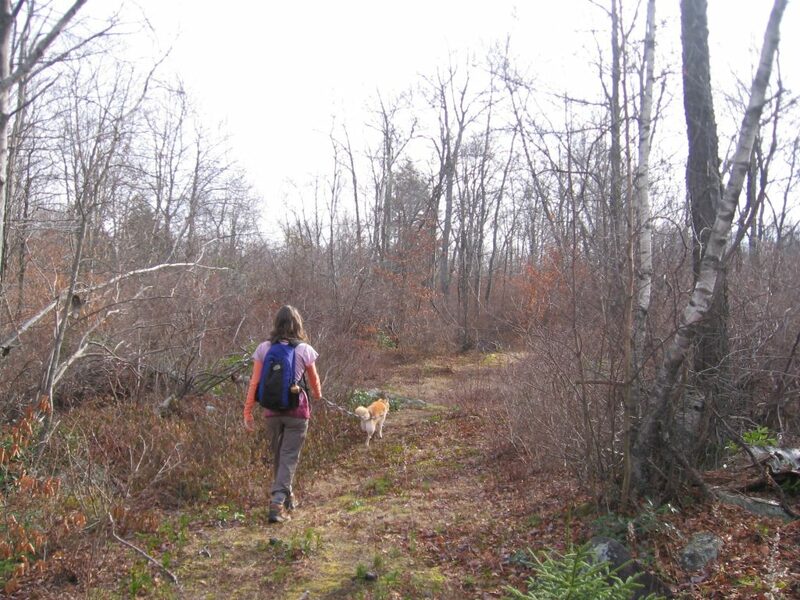 There is a short trail that follows the perimeter of the lake for further exploration. 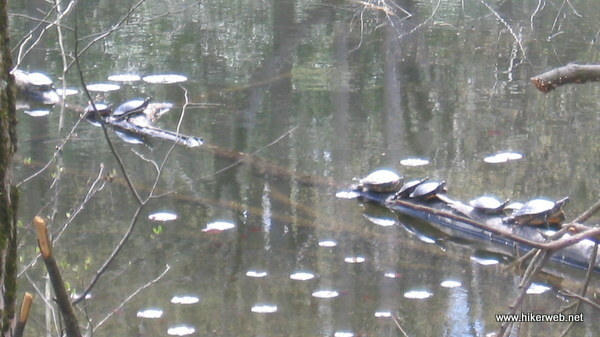 Painted Turtles sunning themselves on a log in Lake Lenape. As I moved closer, they were startled and leapt into the water. 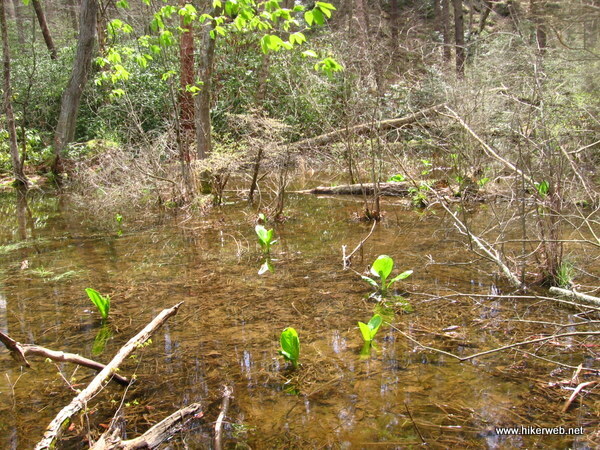 Skunk Cabbage around Lake Lenape. It is one of the first plants to emerge in the spring and is aided by the fact that it can produce its own heat to help melt its way through the snow! The leaves when torn produce a smell like the plants namesake. Despite the odor, it has many food and medicinal uses. 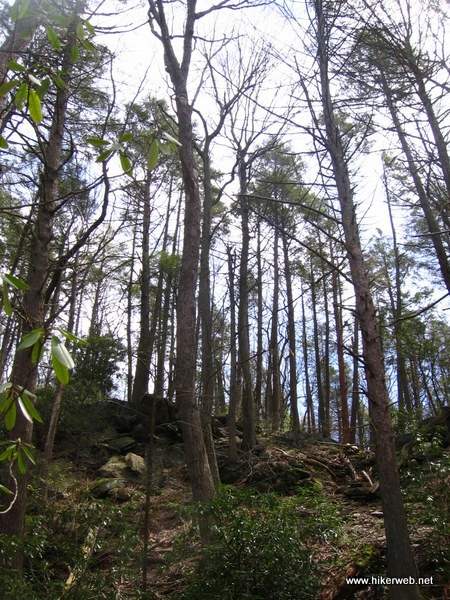 Hemlock trees on the surrounding ledges of Lake Lenape. They are suffering the unfortunate effects of the invasive Hemlock Wooly Adelgid. 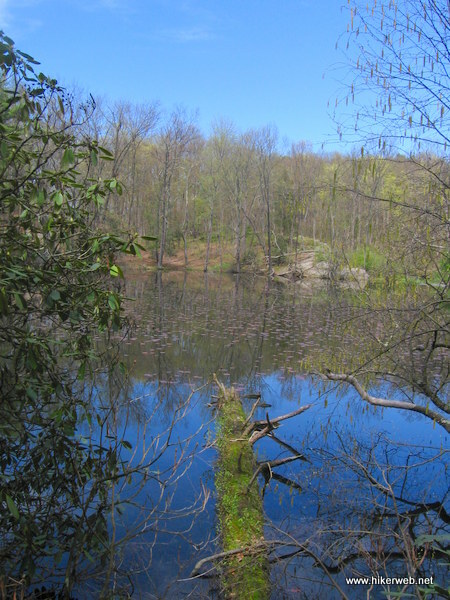 A view north from the southern edge of Lake Lenape. The cliffs of Mt. Tammany as seen from the Appalachian Trail while hiking up Mt. Minsi. Chief Tammany was a highly regarded chief of the Lenape or Delaware Indians in the 1600’s. Solomons’s Seal growing along the trail. 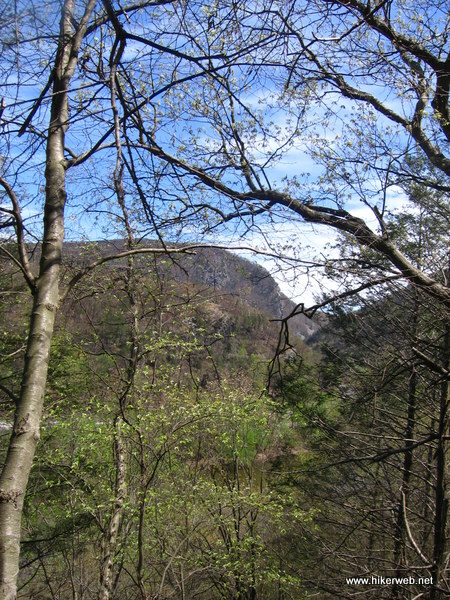 The Delaware Water Gap is visible through the trees as the Appalachian Trail winds through thick rhododendron. 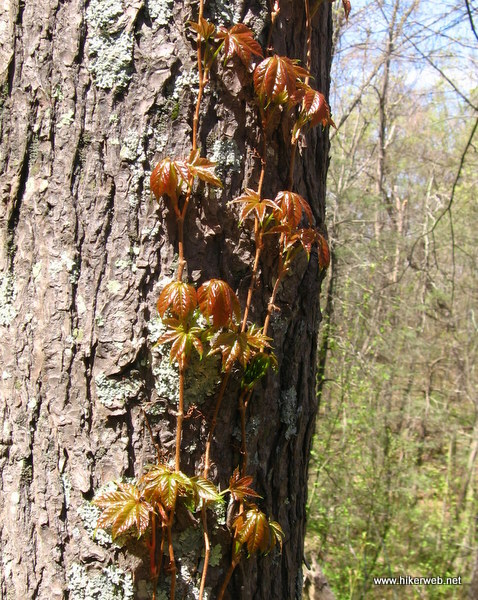 Virginia Creeper, a vine that is sometimes confused with poison ivy. It lacks the aerial roots of poison ivy (looks like thick hair) that are attached to the vine and usually has five leaves instead of 3. 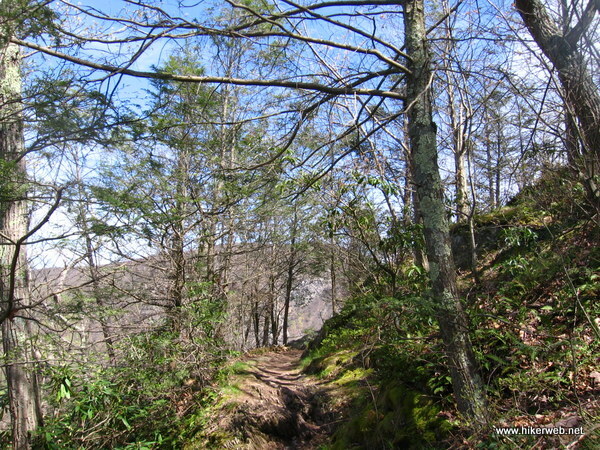 The trail heading for Overlook Rock. 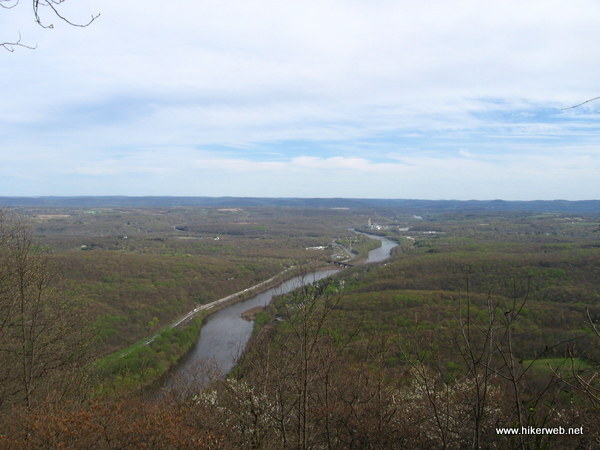 The view from Overlook Rock. It is on a very short unmarked side trail about halfway up Mt. Minsi. 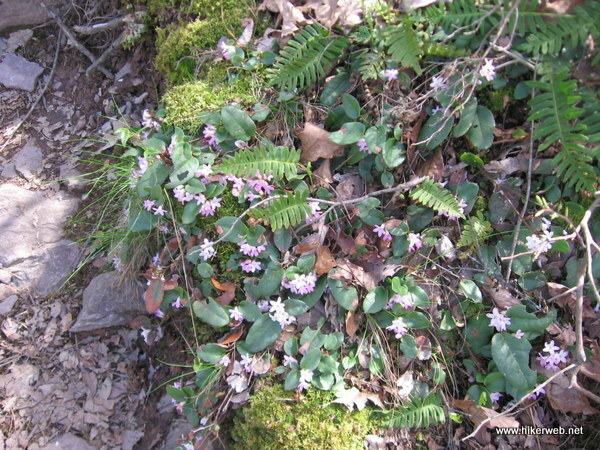 Some Trailing Arbutus and Polypody Ferns growing among the rocks. A view of Mt. Tammany from a rock outcrop south of the summit. There is no view from the actual summit, but this one is quite nice. 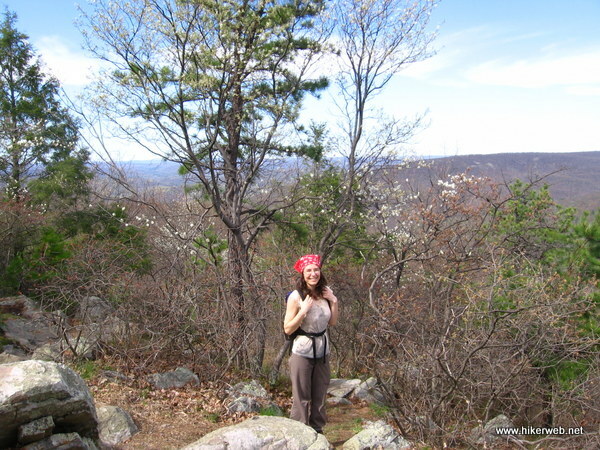 Kristy in front of a few Juneberry trees near the vista. Juneberries, also called serviceberries, shadbush, or saskatoon yield a delicious red fruit in june that is often compared to blueberries. 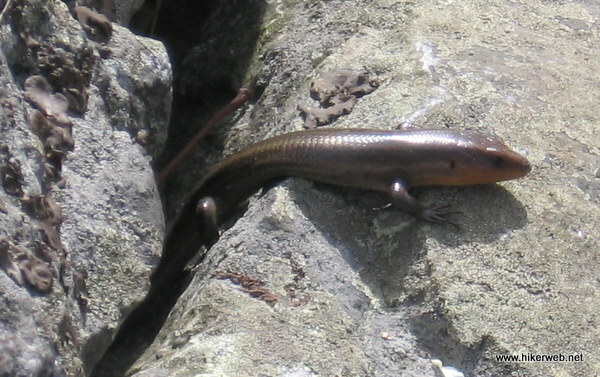 A Five Lined Skink on one of the rock outcrops. This is only the second time I have seen one of these. They are not a common sight while hiking in Pennsylvania. 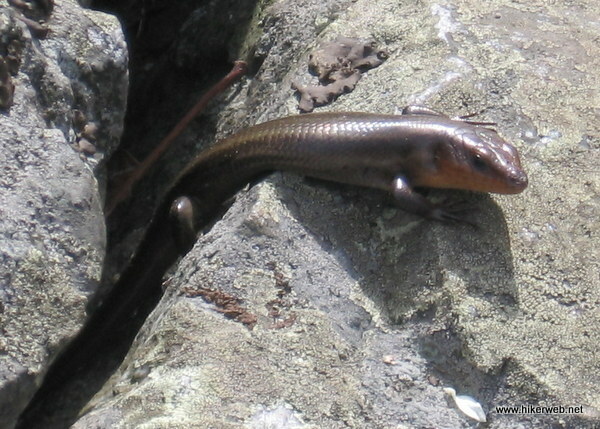 Here is another photo of the Five Lined Skink. He turned toward me a little for a better look. I would guess this one was about 7″ long from head to tail. 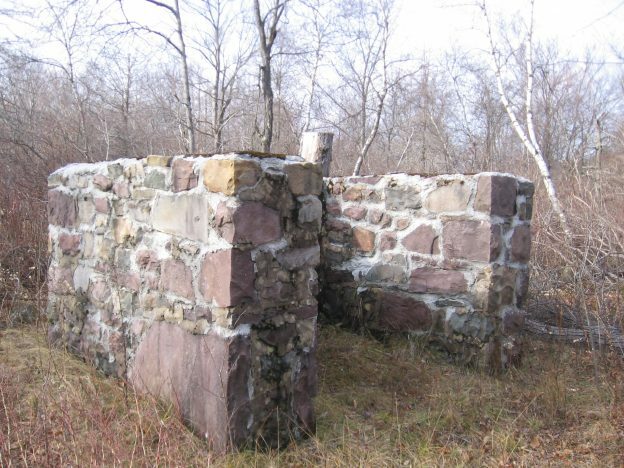 The remains of an old fire tower on the summit of Mt. Minsi. 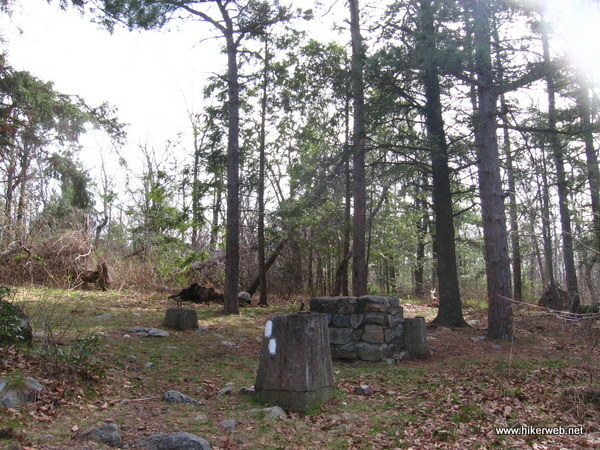 They now hold a place for the white blazes that mark the Appalachian Trail. 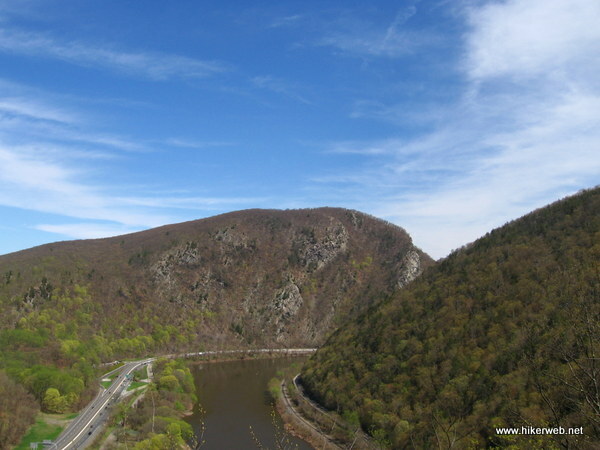 The view of the Delaware River from just south of Mt. Minsi. This is looking toward Portland, PA and Columbia, NJ. 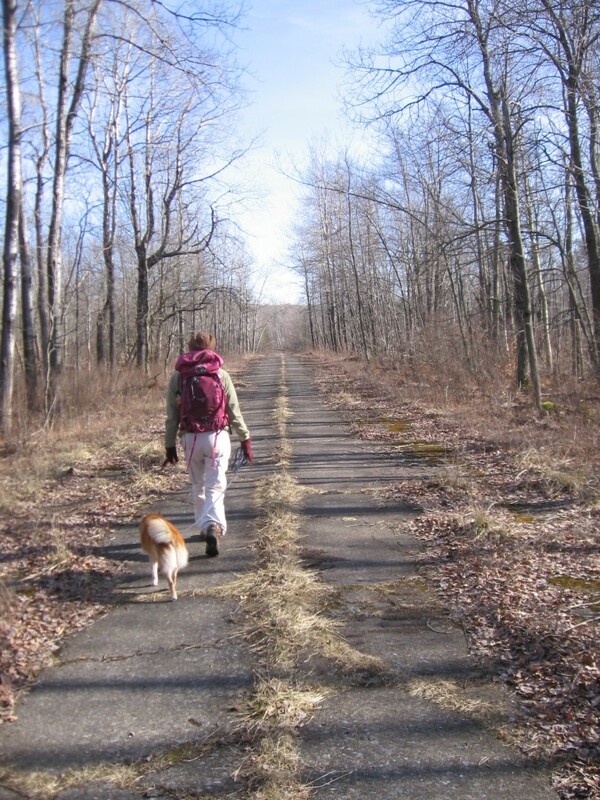 Kristy hiking through the Pennsylvania rocks back down to the Delaware Water Gap. 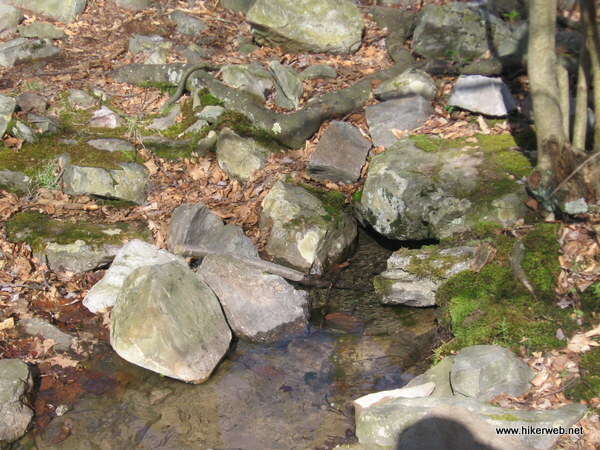 A spring on the fire road that leads up Mt. Minsi. It is a refreshing stop on a hot summer day. 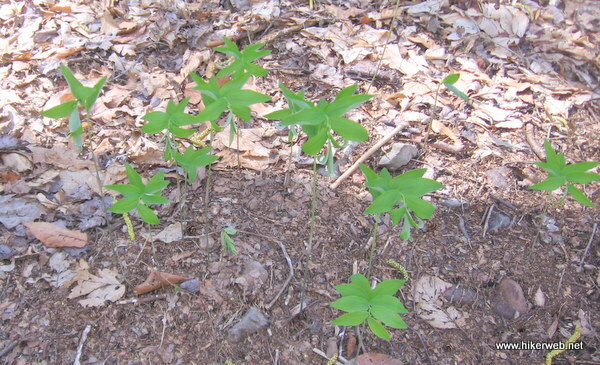 May Apples growing in the forest. Come early summer these plants will bear interesting edible fruit. They were also used medicinally by Native Americans. 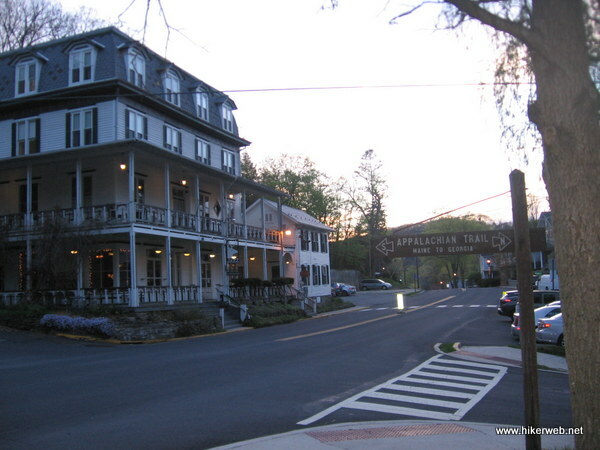 The Deer Head Inn, a historic hotel and jazz club, is just a stones throw from the Appalachian Trail in the town of Delaware Water Gap. 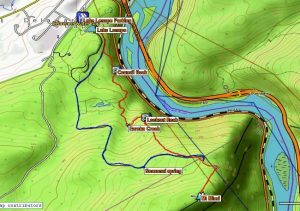 This entry was posted in Pennsylvania Hikes on May 5, 2017 by jcammerota. 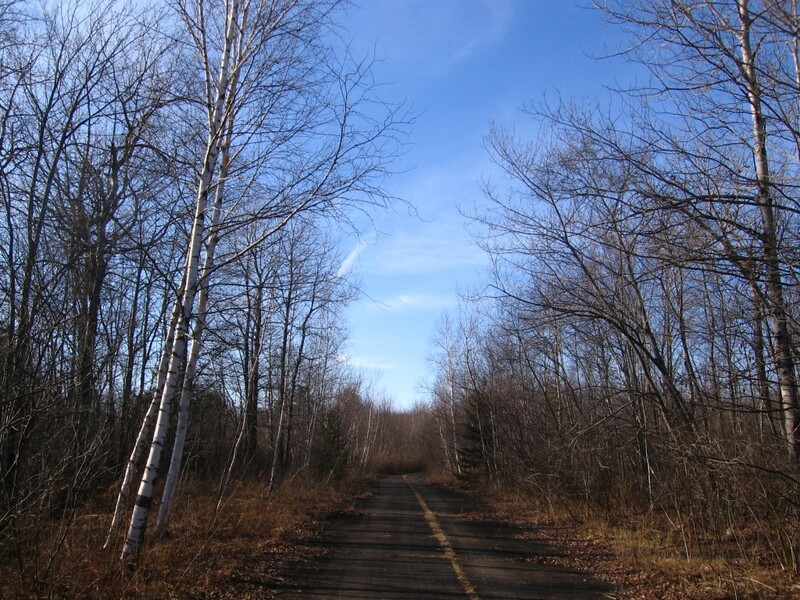 It was hard to resist going for a short hike on a spring like late February day. We hiked on the Blue Trail old entrance up to the old route 611. We took the old 611 south to just past Frame Cabin Run. Apples trees along the old route 611. Hiking companions for the afternoon. Kristy and Lily. 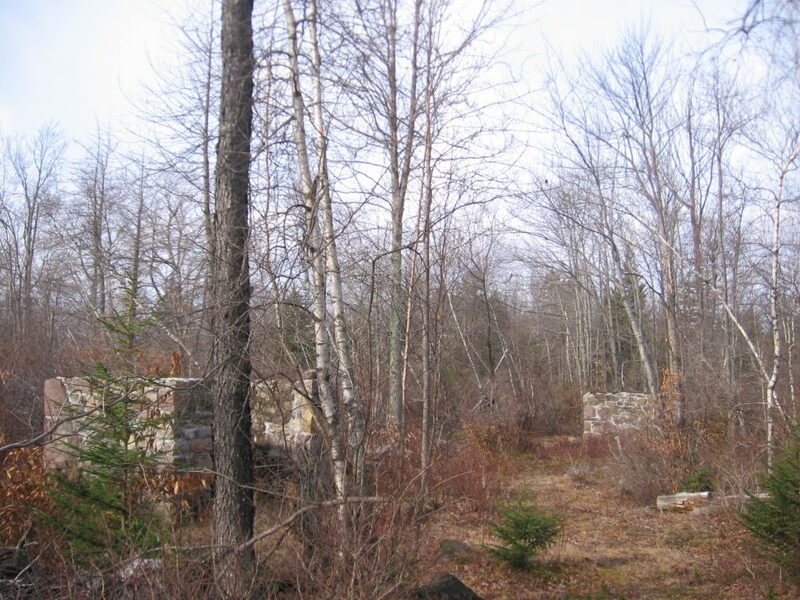 There are many interesting things along this abandoned section of road. 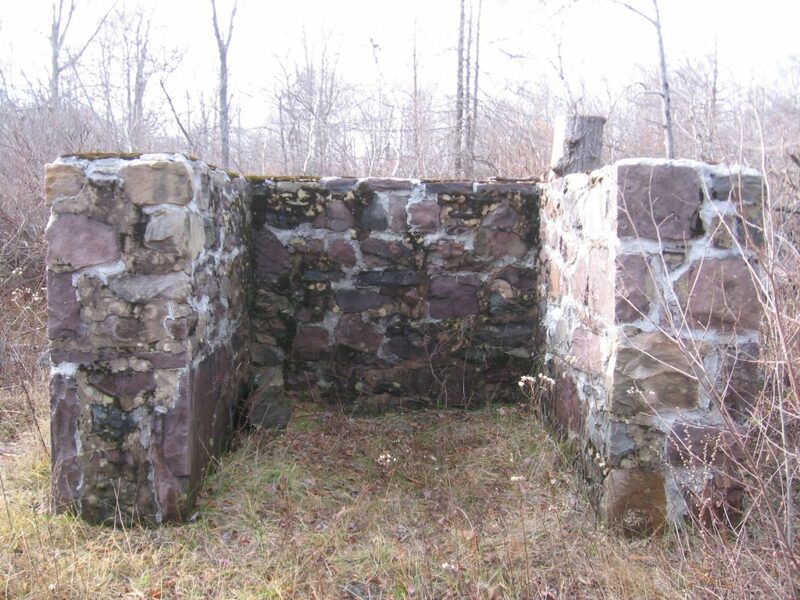 Many apple trees and an old stone well are reminders that this land once had a different story. 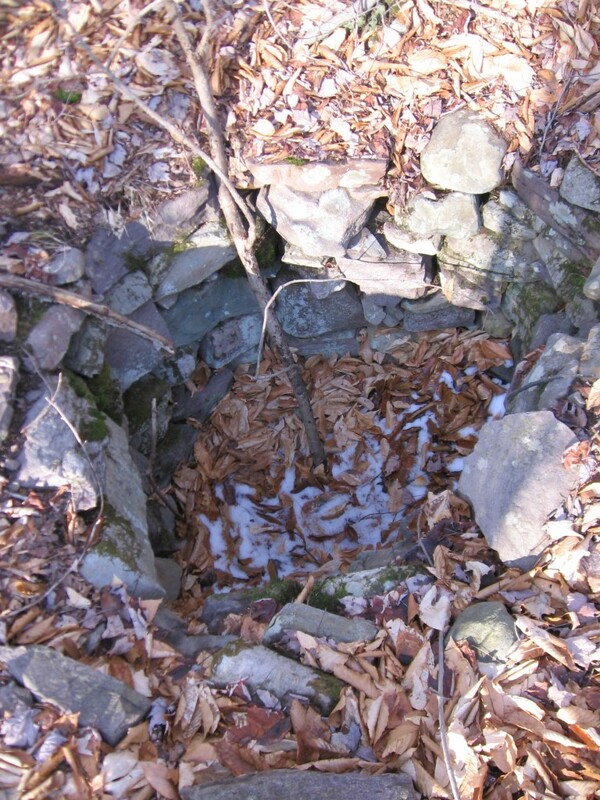 Old well near the old 611 trail. 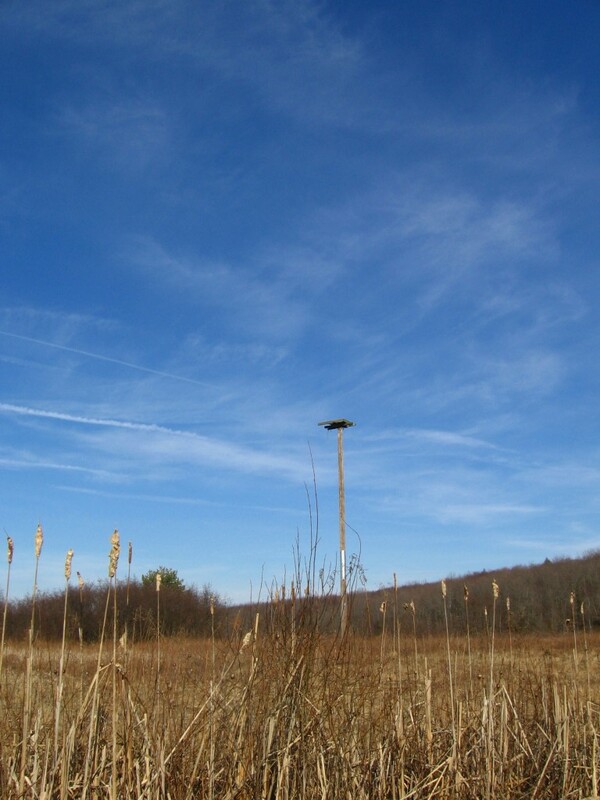 Raptor nesting platform used to help breeding raptors protect and care for their young. White birch trees growing on the sides of the old 611. 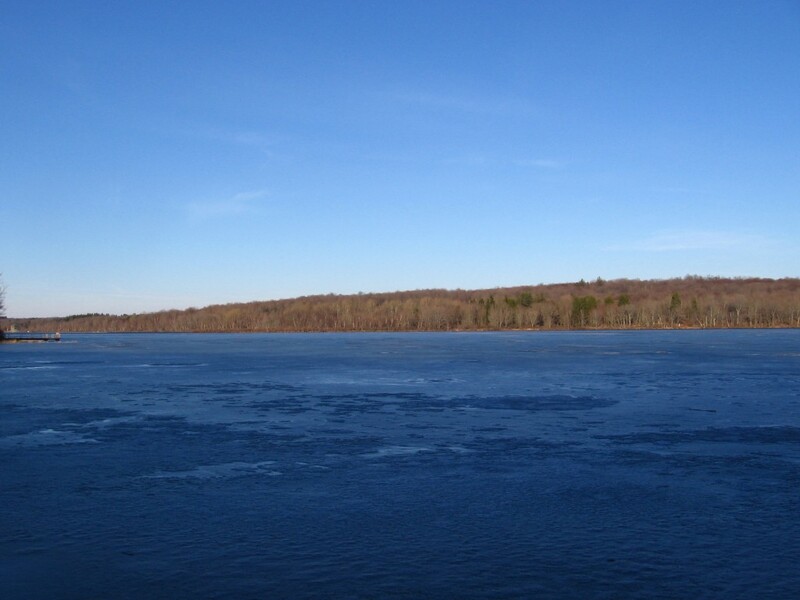 A still frozen Gouldsboro Lake. 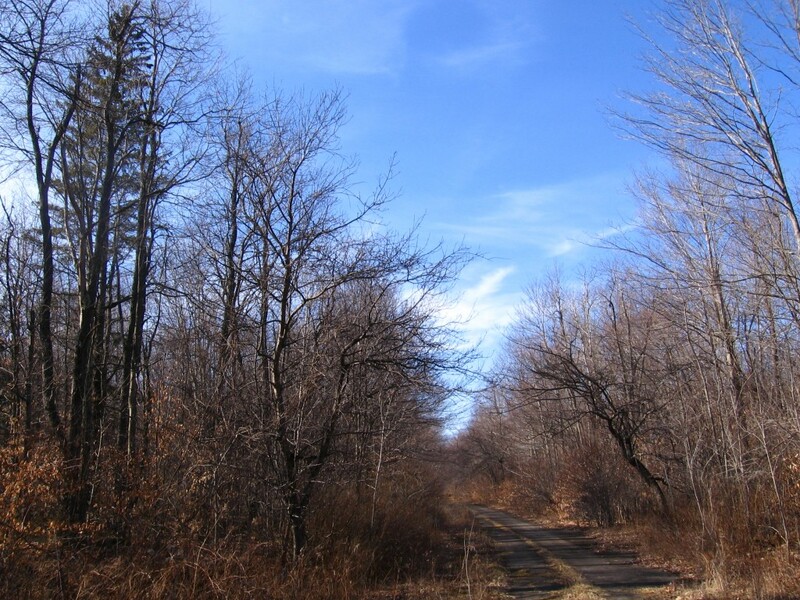 This entry was posted in Pennsylvania Hikes on February 29, 2016 by jcammerota.